It's an A2 PDF (which is 4 times A4, but the will resize to A3 or A4). 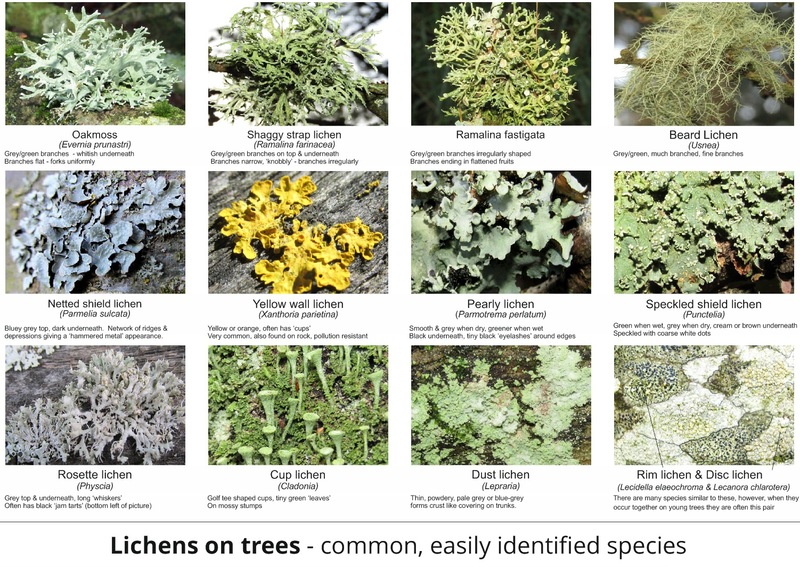 Lichens are fascinating - they consist of a fungus and algae partnership. The fungus benefits from the arrangement because the algae produce food by photosynthesis. The algae benefits by being protected and anchored by the fungus.